Direct mail wins our customers new business. At this time of year, customers are evaluating their response rates from the past year, so we thought it would be a good time to check in and learn about their results. We wanted to know how they were tracking and were curious to find out if they needed us to provide more support in tracking their direct mail campaigns. How do our clients track response rates and could it be improved? Are they actually tracking all four channels (phone, website, email and special offers)? What tools and channels do they use to track response rates? What challenges do our clients face when tracking campaign performance? 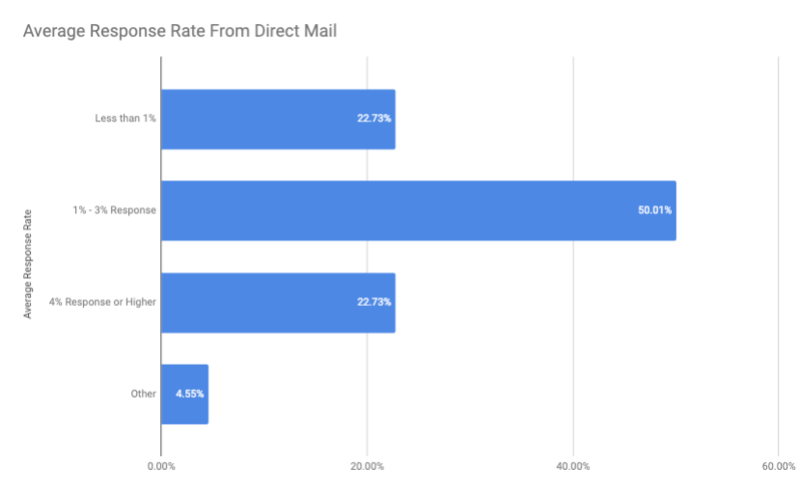 Below are some interesting takeaways and insights about the tracking of direct mail campaigns that we gathered from our Customer Survey. Major Takeaway #1: Direct Mail Works for Movers! 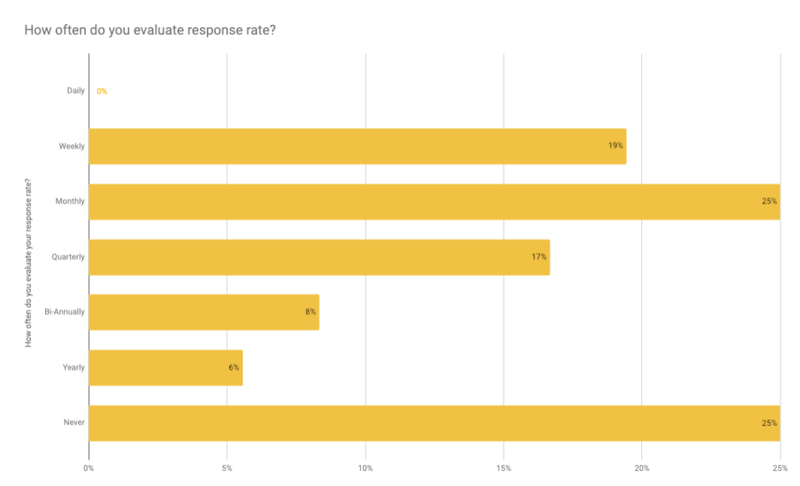 73% of respondents experience strong response rates. These are incredible results and prove that direct mail offers some of the best results for the industry. In comparison, email and paid search averages 0.6%, social media average .4%, and online display averages .2%. 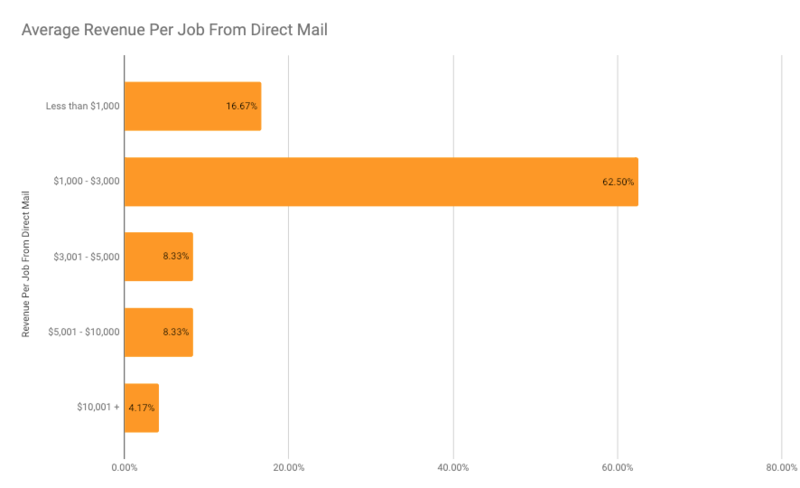 In addition, because Moving Leads direct mail targets existing households (moving for the 2nd, 3rd, 4th plus times) it captures large household moves that are typically high revenue per job. Major Takeaway #2: Lower response rates are likely the result of underreporting responses. Why do some movers average 1-3% response rates or more and some report getting less than 1%? When we looked deeper into answers on our survey, we found what might be causing this difference; underreporting! Postcards ask homeowners to respond to you through one of four channels: by phone, website, email, or offer. 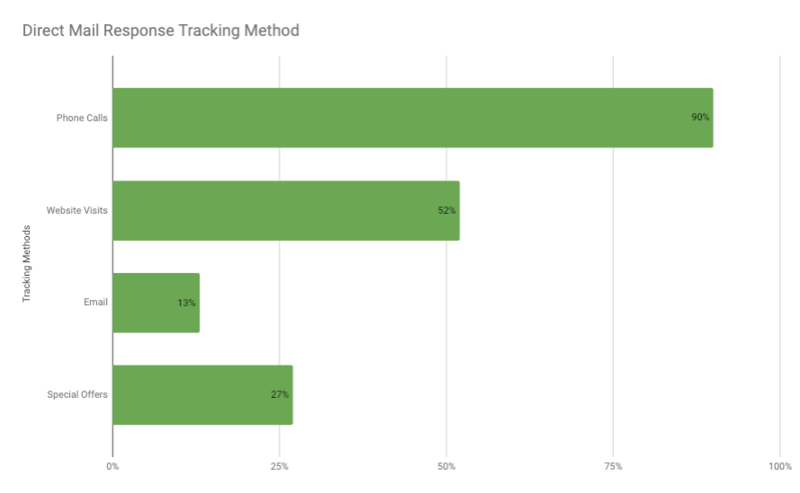 Most of our survey respondents (90%) track responses by phone calls. But fewer track responses through their website (52%). In a previous survey of homeowners, 94% of homeowners said they would go to the website before calling or completing an online request. If you aren’t counting website contacts, you won’t have an accurate count, and your response rate will look low, when in fact your leads are responding to you via your website. Moreover, of those tracking phone calls, almost all survey respondents were making the common mistake of asking “How did you hear about our company?” This is a generic question that can often lead to the homeowner mentioning other multichannel marketing campaigns, like seeing branding on your truck, when in fact the postcard is what made them call. To learn more about our suggestions on how to best track all four channels for responses, please see tracking direct mail response rates and download our new PDF. Major Takeaway #3: Tracking response rates of direct mail is challenging. While 75% of our customers are doing at least some tracking, a substantial amount of customers—25%—don’t track at all. It may seem time-consuming, but ultimately, tracking is important to validate that you are investing in marketing that is worth your marketing dollars. 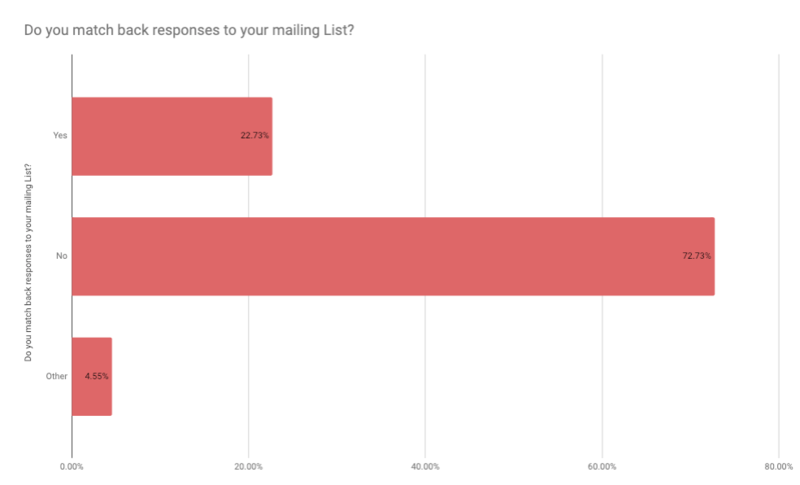 In addition to tracking response rates, only 27% of our customers currently match back addresses from responses, appointments, and jobs booked to their original mailing list. Matching back can overcome many of the tracking obstacles mentioned above and improve the accuracy of accounting for all responses driven by postcards. Matching back is also a way to understand the postcard’s role and value in your multichannel marketing campaigns. You will never know what is the true trigger for your customer's response if you do not track all the campaigns that the new customer was exposed to. In Conclusion: There is room to improve tracking methods and we have decided to build a tool that will help our customers! We want our customers to see that direct mail is working! So it is important to us that you have the resources and tools to be validating your service. We have witnessed customers who stopped mailing only to return a couple of months later after realizing they were getting responses, they just weren’t accurately tracking the responses. If you tried direct mail in the past and didn’t feel like it worked for you, were you tracking correctly? Simple tweaks to your campaign can make a huge difference in response rates. Check out the resources below for ways to fine tune direct mail. We’ll be using the feedback from the survey to develop a simple, convenient online tool to make tracking direct mail and other marketing campaigns easier. We’ll have an announcement about a new online tracking tool soon! For now, here is a downloadable PDF with suggestions for a 4 Step Plan to manage and track responses. We hope you find it helpful. If you have additional comments or feedback, we’d love to hear from you— please contact us.